Health IT professionals have always known that interoperability would be one of the most important aspects of the Affordable Care Act (ACA). Now doctors have financial incentive to be proactive in taking part in the process of exchange information between computer systems. According to a recent article in MedPage Today, doctors are now “clamoring” for access to patient information ahead of the deadlines for the government’s “meaningful use” program. Doctors and hospitals will get hit with fines for not knowing about patients’ health histories, for patient readmissions and unnecessary retesting. “Meaningful use” refers to provisions in the 2009 Health Information Technology for Economic and Clinical Health (HITECH) Act, which authorized incentive payments through Medicare and Medicaid to clinicians and hospitals that use electronic health records in a meaningful way that significantly improves clinical care. Doctors who accept Medicare will find themselves penalized for not adopting or successfully demonstrating meaningful use of a certified electronic health record (EHR) technology by 2015. Health professionals’ Medicare physician fee schedule amount for covered professional services will be adjusted down by 1% each year for certain categories. If less than 75% of Eligible Professionals (EPs) have become meaningful users of EHRs by 2018, the adjustment will change by 1% point each year to a maximum of 5% (95% of Medicare covered amount). With the stick, there’s also a carrot. The Medicare and Medicaid EHR Incentive Programs provide incentive payments to eligible professionals, eligible hospitals and critical access hospitals (CAHs) as they adopt, implement, upgrade or demonstrate meaningful use of certified EHR technology. Eligible professionals can receive up to $44,000 through the Medicare EHR Incentive Program and up to $63,750 through the Medicaid EHR Incentive Program. According to HealthIT.Gov, interoperability is essential for applications that interact with users (such as e-prescribing), systems that communicate with each other (such as messaging standards) information processes and management (such as health information exchange) how consumer devices integrate with other systems and applications (such as tablet, smart phones and PCs). The good news is that more and more hospitals and doctors are participating in data exchanges and sharing patient information. On January 30th, the eHealth Exchange, formerly the Nationwide Health Information Network, and operated by Healtheway, reported a surge in network participation numbers and increases in secure online transactions among members. According to the news release, membership in the eHealth Exchange is currently pegged at 41 participants who together represent some 800 hospitals, 6,000 mid-to-large medical groups, 800 dialysis centers and 850 retail pharmacies nationwide. Some of the earliest members to sign on with the exchange were the Veterans Health Administration, Department of Defense, Kaiser Permanente, the Social Security Administration and Dignity Health. While the progress in health information exchanges is good, there is still much work to do in defining standards, so that the right information is available at the right time and place to enable better patient care. Devices are emerging that can capture continuous information on our health status. The information captured by these devices can enable better outcomes, but only if the information is made readily available to medical professionals. 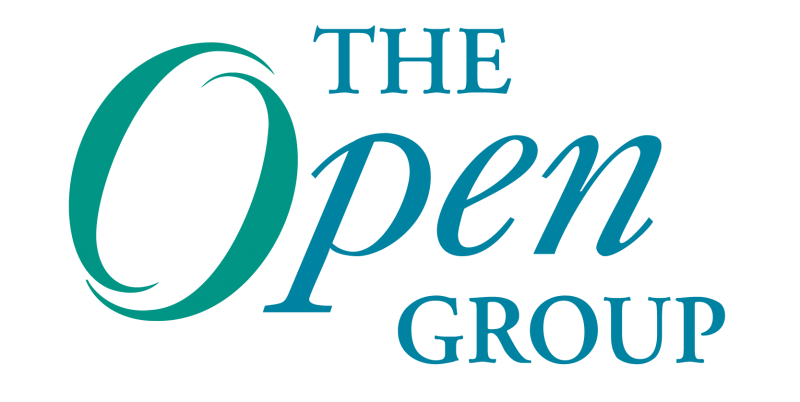 The Open Group recently formed The Open Group Healthcare Forum, which focuses on bringing Boundaryless Information Flow™ to the healthcare industry enabling data to flow more easily throughout the complete healthcare ecosystem. By leveraging the discipline and principles of Enterprise Architecture, including TOGAF®, an Open Group standard, the forum aims to develop standardized vocabulary and messaging that will result in higher quality outcomes, streamlined business practices and innovation within the industry. Thank you for your comments. Glad the blog is helpful to you, your friend and mom!